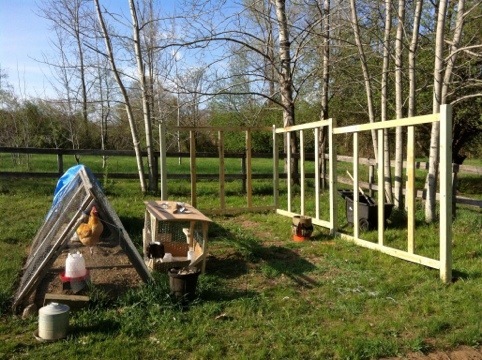 As you can see Susan and I made pretty good progress today on the enclosure that will be attached to the new coop we’re going to build. Non-pressure treated wood? Better seal that stuff good. It is pressure treated wood – everything you see is.